Plant Doctor was founded by well-known horticulturalist, bonsai curator, and believer in the need to eradicate the toxic chemicals used on our plants and in our bodies, the late Daniel Fitzhenry. It continues as a family business, with his sons and their families working to keep his products and vision alive. 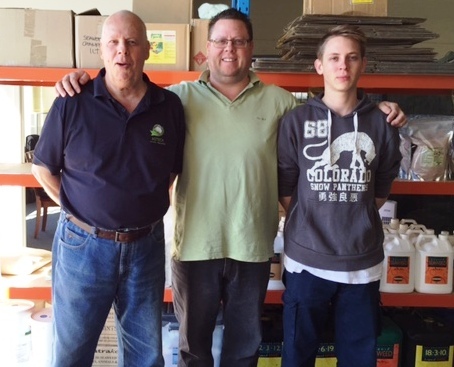 Daniel’s mentor and the original plant doctor, Dr Harry Goodman, gave him the task to find the perfect fertiliser and to strive to create a better world for all things living, and Daniel created the brand name Plant Doctor in honour of this “giant among men”. A chemical overspray in 1985 gave Daniel the impetus to formulate a range of products that provided plants with insect control and protection through natural herbicide technologies, and fertilisers and soil conditioners made from natural resources to help them flourish and grow. Since then Plant Doctor has developed exceptional earth friendly products utilising the science and technology driving the agriculture and horticultural revolution that’s delivering ethical, economical and effective health and wellbeing solutions. Whether plants, animals, or even yourself, Plant Doctor believes in sustainability and using Mother Earth's natural resources to nurture our daily lives.